As winter approaches and home-grown outdoor harvests start to dwindle, Johnsons offers its solution, with a range of microgreens seeds, which can be grown on an indoor windowsill, throughout the whole year. 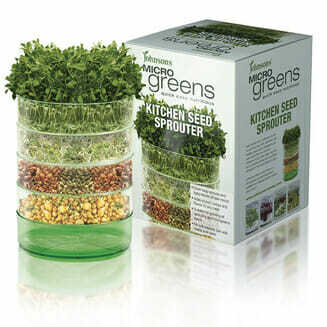 A quick and simple way to add vibrant colour and taste to dishes, without being restricted by the weather, microgreens are virtually ‘instant’ vegetables that can be grown indoors. Easy to grow, some varieties can be ready to pick in as little as two weeks, with the nutrient-rich leaves providing a fresh intensity to seasonal meals. 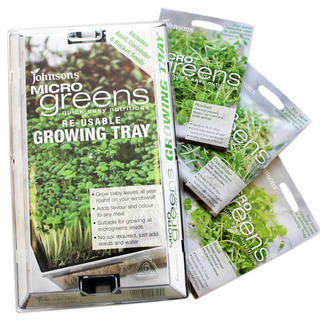 Johnsons Microgreens are available as a high-quality kit, including a reusable growing tray and three packets of seeds. With a RRP of just £4.99, the kit is perfect to get home chefs up and running. 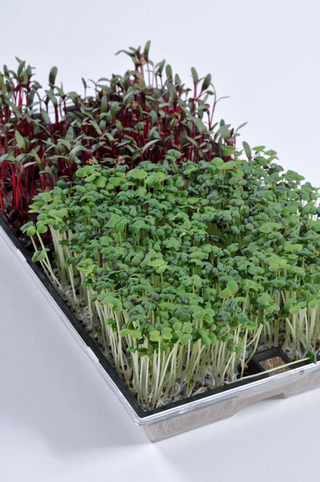 In addition, Johnsons have a collection of eight microgreens including best-selling beetroot, chard and radish for leaf, available to buy separately with RRPs of £2.15 to £3.25. And for a simple way to harvest your crops, Johnsons Micro Snips (RRP £3.99) are compact in size and have spring action handles, ensuring they are easier to use than scissors. Let your tomatoes run wild!